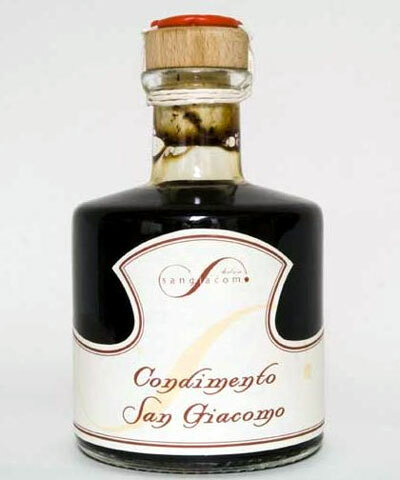 San Giacomo Balsamic Vinegar is a result of passion, knowledge, & dedication to producing traditional balsamic vinegar. This balsamic condimento, San Giacomo is aged in French Oak casks, then refined in very small barrels of chestnut, juniper & cherry. San Giacomo balsamic vinegar is ideal on grilled meats, salads & fresh vegetables.